It was just my birthday...on July 7th. 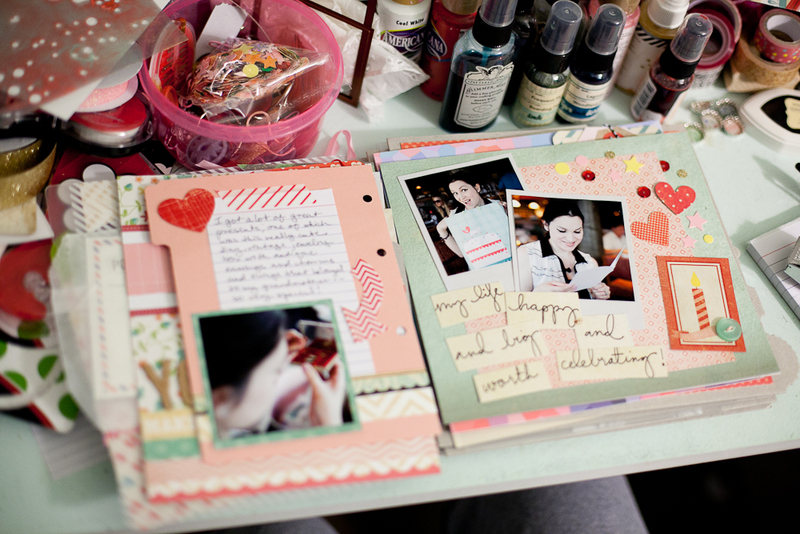 So one mini album that I am working on right now is my A Very Merry Birthday book. It is about my birthday weekend vacation in San Diego. Here are some pictures of how that is coming along. I love how it is looking so far! And I love working with the new The Pier collection from Crate Paper along with mixing it with other new collections like Travel Girl from October Afternoon and also some new Fancy Pants Memories Captured and Simple Stories I Heart Summer, etc...and some cool stuff from my stash like old papers from My Minds Eye Follow Your Heart and October Afternoon Cake Walk. So much fun to mix and match! This is just one of the projects that I am working on right now. 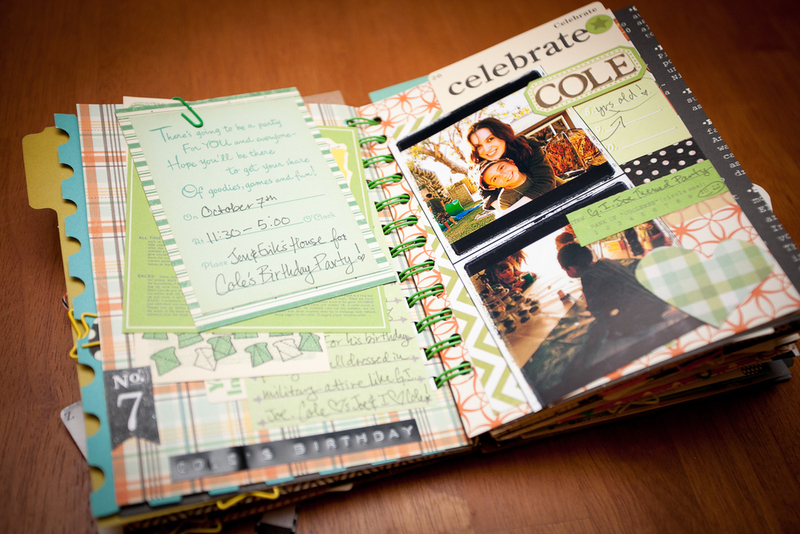 I am also still working on the Happy Little Moments album and a memory file folder album about some of my favorite pictures from my life and project life and some other little things...oh jeeze...that is a lot isn't it? I always have to have a lot of different projects going at the same time or else I get bored...I know, I'm weird! Or maybe I'm not...how about you guys, do you like to work on a lot of different things at the same time? Anyways, stay tuned because I have some exciting news! 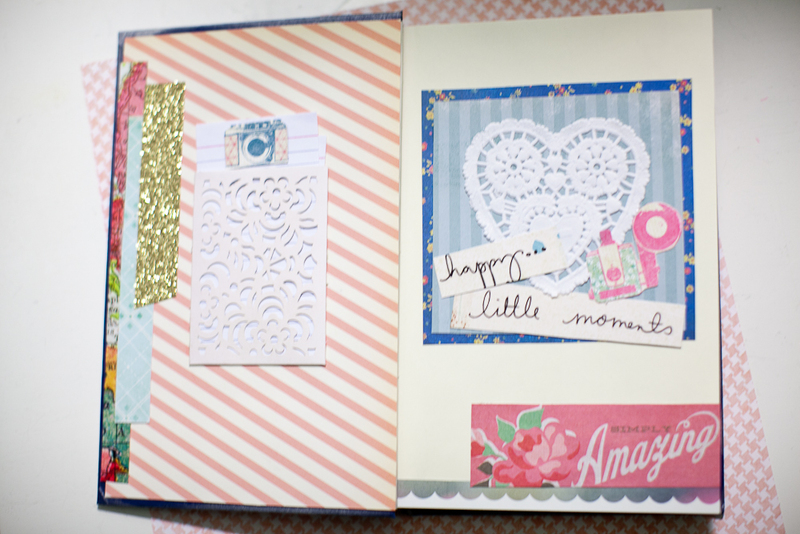 Hi, been really busy lately but wanted to share with you guys what I have been working on recently with my Happy Little Moments book. Right now I have so many projects going. 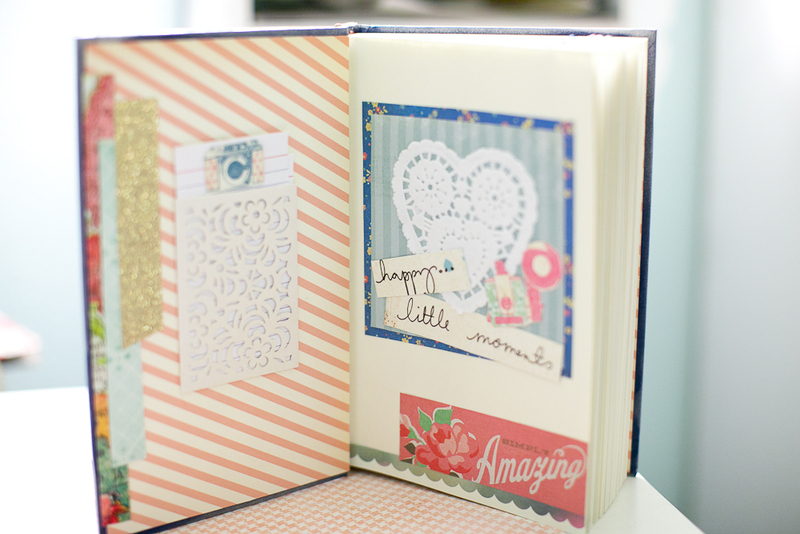 As you know one is the Happy Little Moments book I shared with you in my last post. Here are some pics of how that is coming along. I hope you like what I have going so far for My Happy Little Moments Album! Stay tuned for more pics of the album progressing! Hi! So I've been a little behind...sorry, but I've been having some problems with my health. Anyways, before I show you some of the newer stuff I've been working on, just wanted to share some pics that I took of my Valentines decor a few months back. Here is a cute banner I made. It says "I love you"! (I made one for my mom too thats a little different). Anyways, I used red burlap fabric and some cute scrapbook tags by Pretty Little Studio as well as some paper from Crate Paper, Dear Lizzy and Echo Park. Oh, and some doilys! I think it came out pretty good and I'm thinking of making another one soon with a different theme...I'll share it with you when I do. This is my favorite table in the house to decorate! I don't know why but for some reason it's always so fun to work on and it always comes out real cute I think. 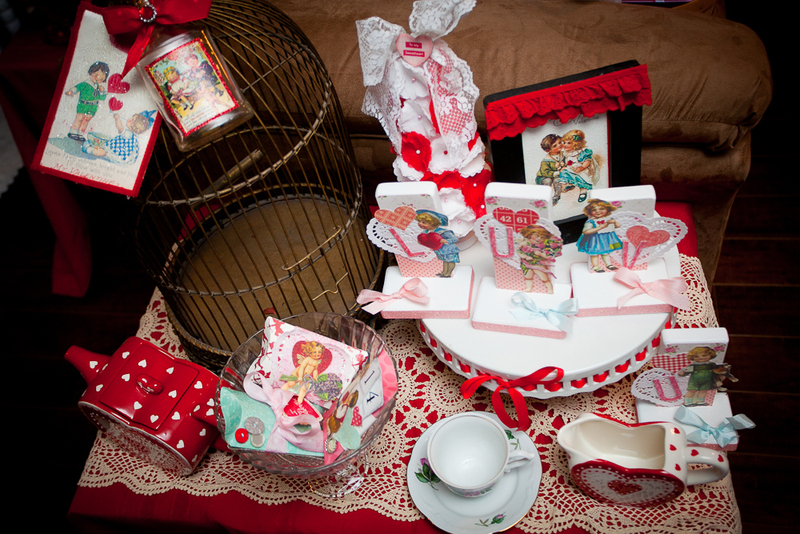 It's like a little themed Vignette of vintage Valentine-ness! I'll show you how it looks right now with the general decorations that I put out between holidays. 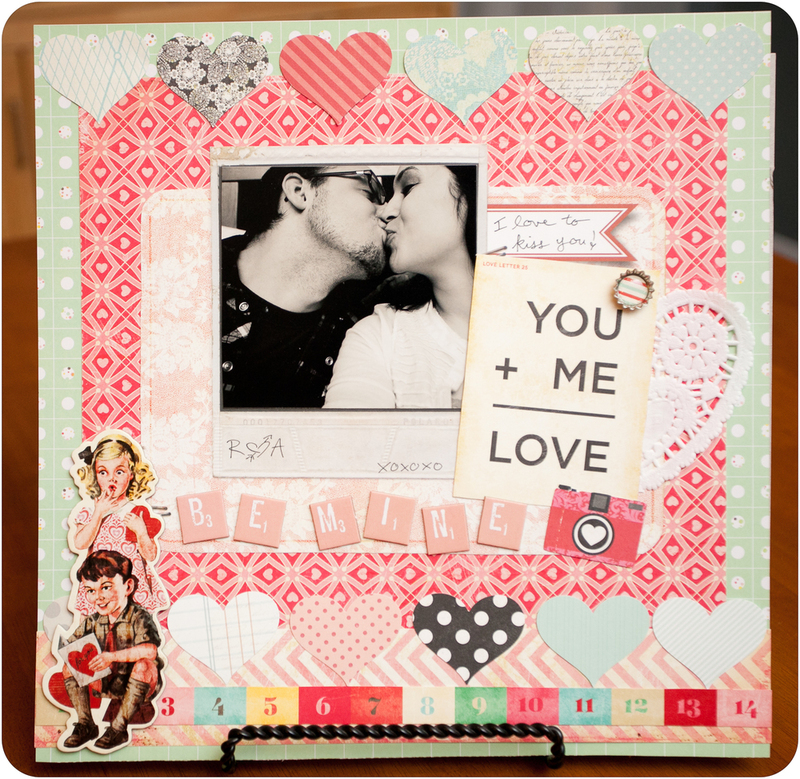 This is a tag calander countdown to Valentine's day that I made simply by clipping up some tags from Pretty Little Studio onto this frame. This is another area in the house that I like decorating. It's an antique shelf that my mom got for me at a vintage marketplace. This is the sidetable by the couch in the living room that I decorated with some other crafts I made for Valentines day. The little tree is based on an all white one that Pat from my LSS made. You just use crepe paper, cut or punch them out in circular floralish shapes and layer them and pin them onto a cardboard cone. I made this little decorative peice spelling out "Luv u". I went to my LSS and took a class where I got the idea to make this. The teacher handed out these white wood peices that her husband made. Her example was very different, but I just wanted to try something else. 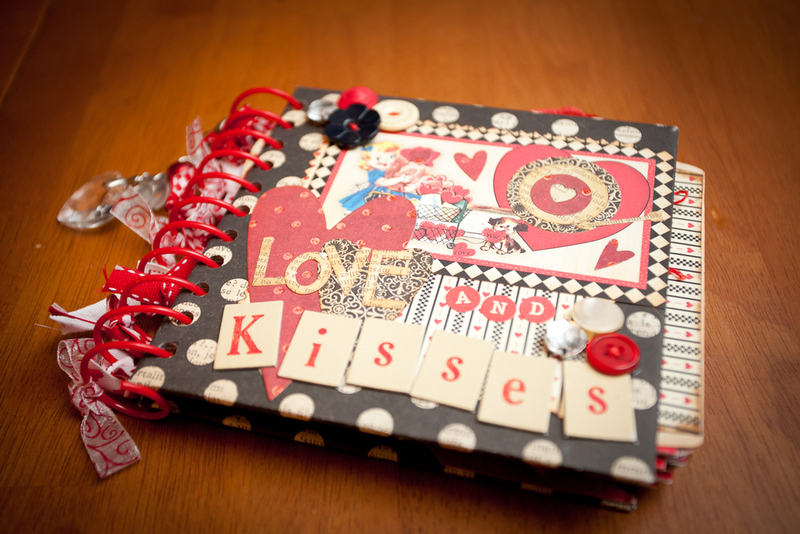 So I took mine in a victorian direction, using my own KandCompany ephemera and some heart doilies, some glitter tape, a heart fiskars punch (my new favorite) and some sweet little bows. I also got these little cardboard pouches at the same class, but didn't get a chance to make them by the time the class was over so I took them home and did something similar but a little different with them, using my own paper and the inspiration I got from the examples at the store. 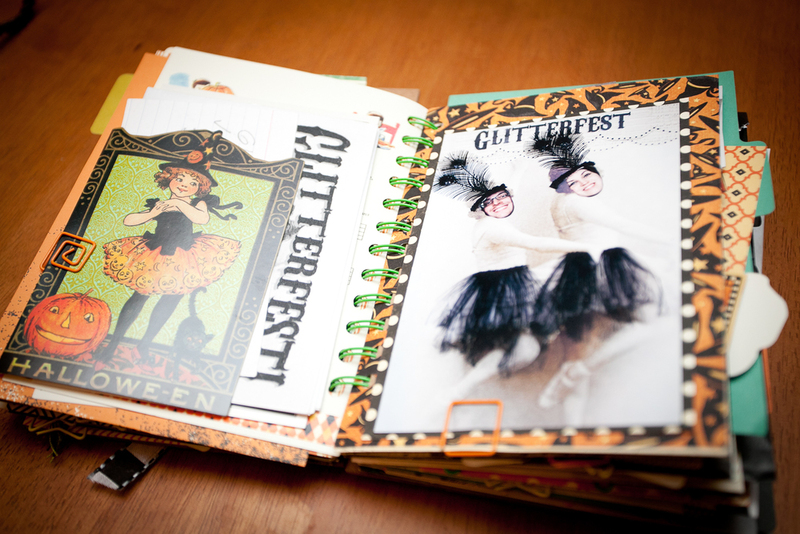 I heart scrapbook stores for this reason, they just fill you up with inspiration. This is also why I love pinterest and youtube! Oh, and blogs of course! 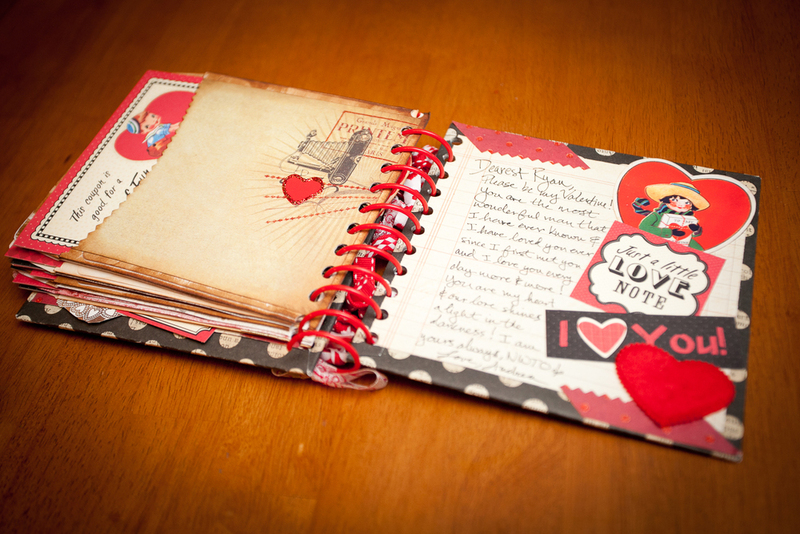 I hope these pictures have given you some inspiration, even though I know its way past Valentines day. Maybe you will be inspired to make your own decorative vignette in your house with a different theme or to make a cool banner for mothers day or for summer or maybe a little wood peice that spells out mom...I don't know but if it is helpful to you I'm glad. 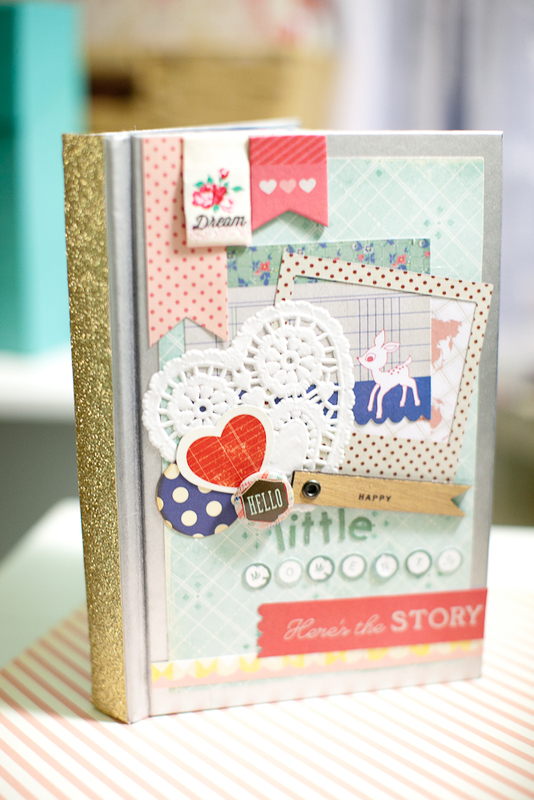 And I will show you some new stuff promptly...I pinky promise! So...it's been awhile since my last post...sorry about that, but I plan on posting at least every couple days in 2013! And this is a goal I really think I can accomplish this year because unlike last year and the year before and the year before, etc, I am finally HEALTHY! I don't want to go into too much detail, but I have been struggling with CRPS (a nerve condition that caused me to be in constant pain and a wheelchair for the last several years)...the past few months though I have miraculously gotten better (after trying tons of meds and procedures and surgeries that didn't work, I finally gave it all up to God to take care of)...I've been praying along with my family and my church to God and to Our Lady of Good Success ---otherwise known as Mary --- and I am doing so much better and it really is a miracle! I am out of the wheelchair and I still have pain sometimes but it is intermittent and much less painful than it was. I feel so blessed and plan on making the most of this new found health this year and accomplishing all kinds of fun craftiness that I had trouble doing in the past because of my pain. So here's to 2013 and hopefully a future full of more good health and a whole lot of scrappy-happiness! 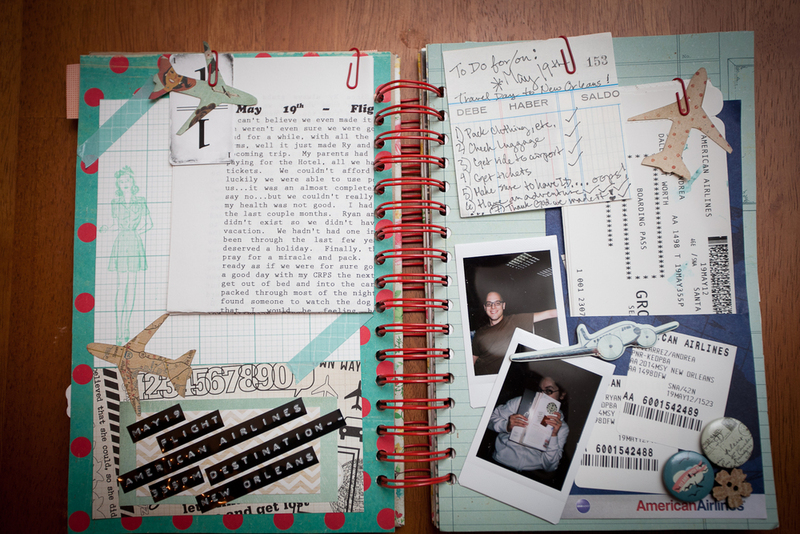 And in moving forward though, I thought I might look back with you at some of my favorite Scrappy projects that I made in 2012! Here they are! 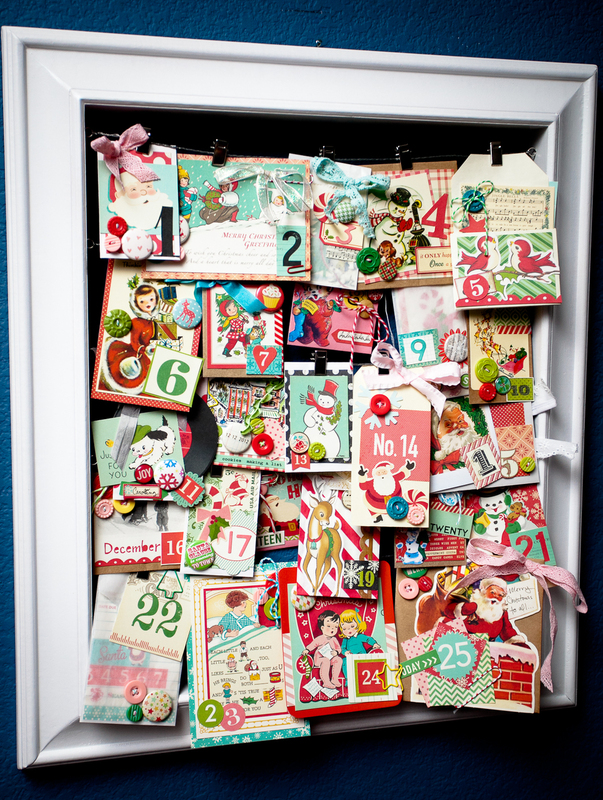 This pic is of a lot of my favorite Christmas projects from 2012. I would like to note that all of them are of my own ideas and style with the exception of the door hanger which was a "make and take" from my favorite local Scrap Store, Collective Journey (I threw it in the pic because it is way cute and if you are in the SoCal area and you want to go to a fantastic store, you should totally go there, they are so sweet and have great stuff). I also want to note that the little house project and the box were inspired by something made by a teacher named Pat at Collective Journey (who is a sweet-heart and you should totally take classes with her if you get a chance, she encourages you to be unique and creative and do your own thing, while teaching you cool techniques and giving inspiring ideas, which I really appreciate)! 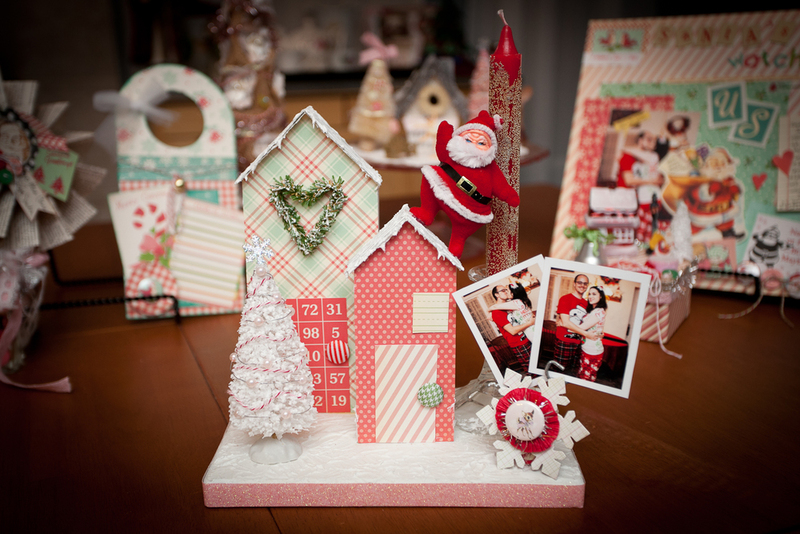 I love how all this Christmas Scrappy Goodness came out! 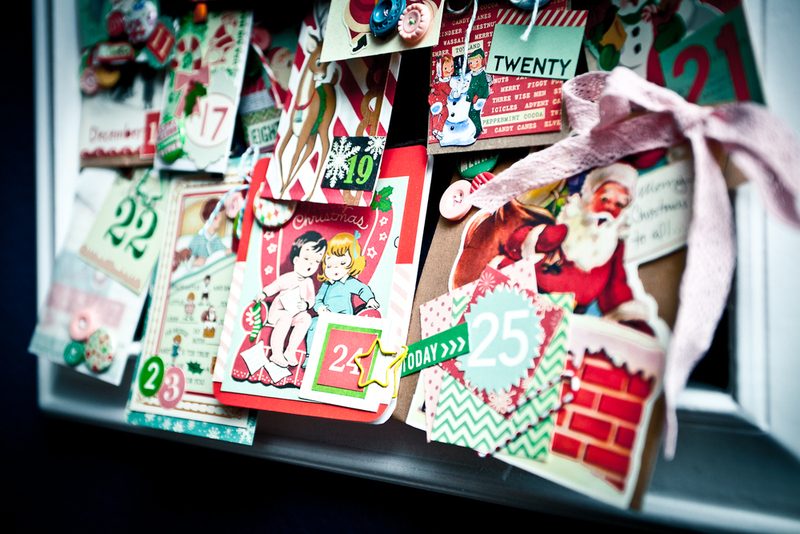 And two cool close ups of some of the tags on the calendar. 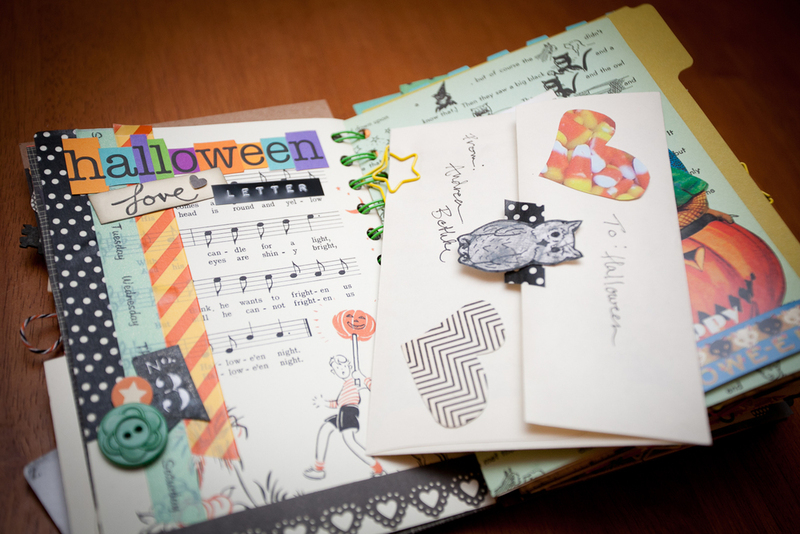 Here is a pic of a bunch of the goodies I made for Halloween. I love Halloween! 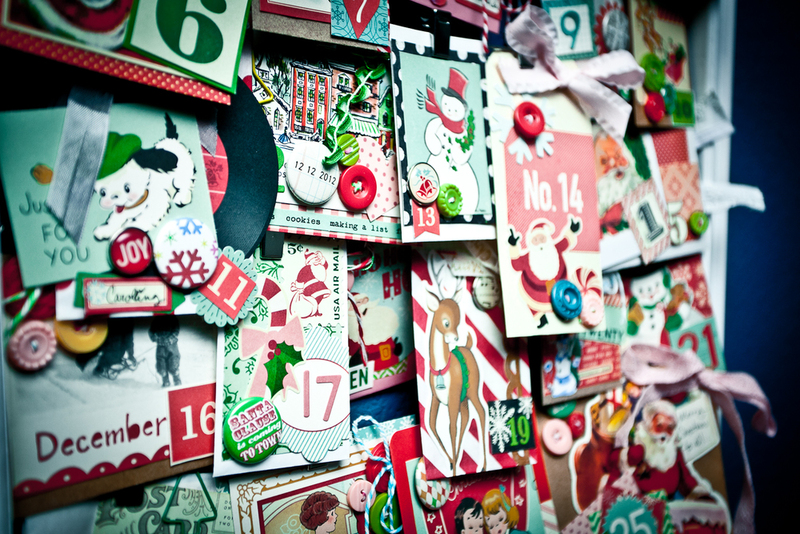 It is my favorite Holiday! And October is my favorite time of year because it has Halloween in it and Autumn which is my favorite season and my Anniversary is in October too! It is also the month I met my husband! 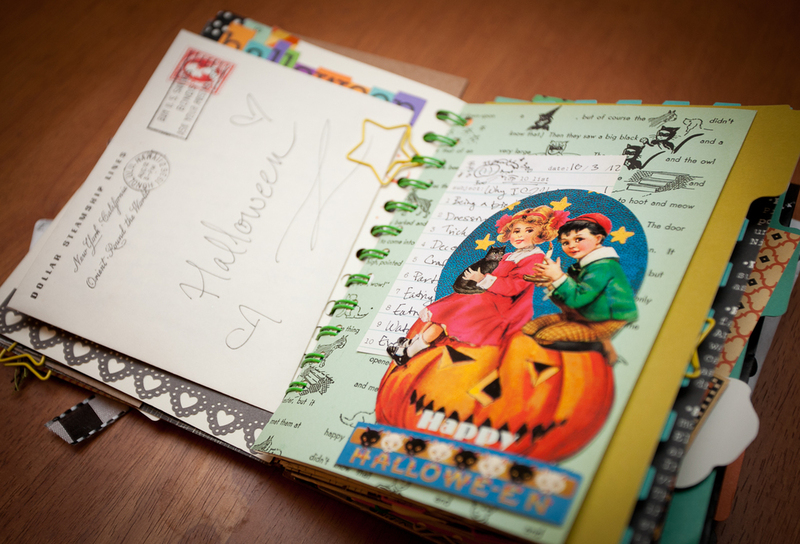 It has so many wonderful moments and memories, October does, that every year I make an October Daily to comemorate it! 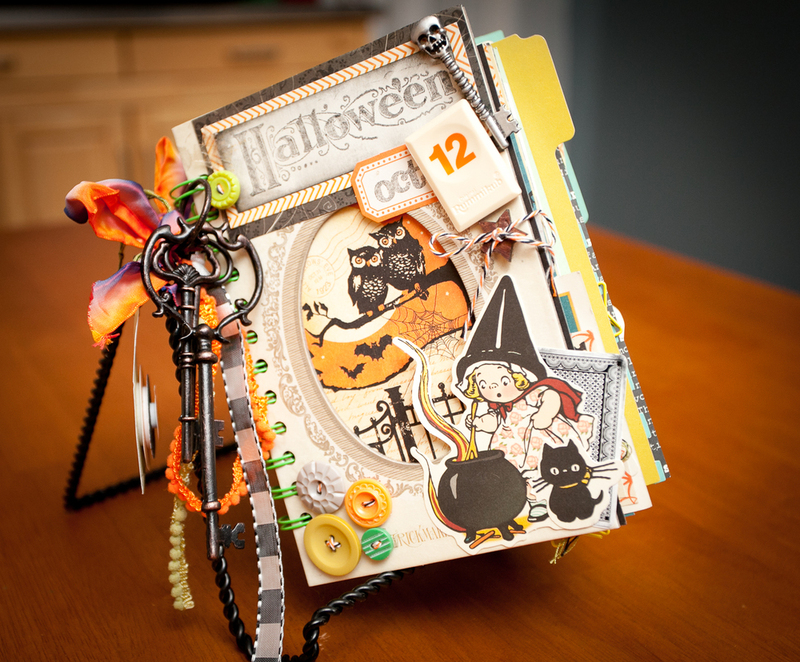 This year I used October Afternoon "Witch Hazel" along with a little big of Graphic 45's Halloween collection for 2012! I also made this steampunk witch hat for my Steampunk Witch costume this year and to put out for decoration every Halloween from here on. 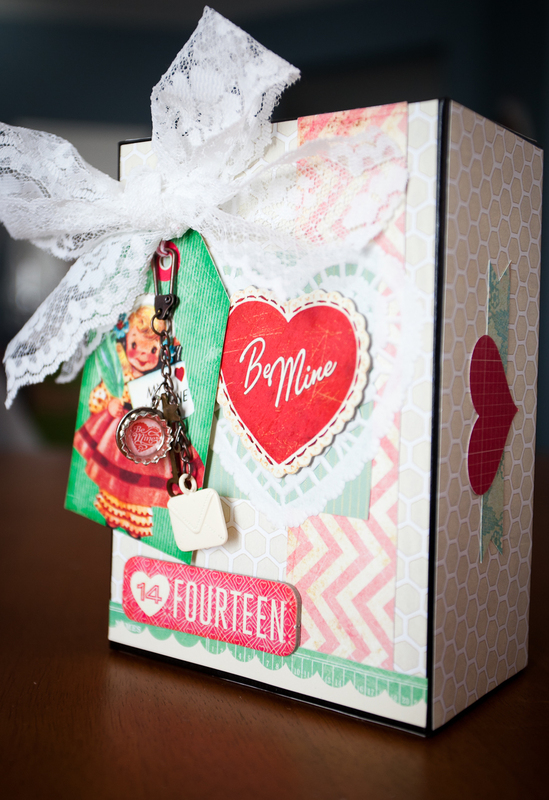 I used some Graphic 45 Steampunk Debutante paper and Tim Holtz's gear die and some mini metal gears from Tim Holtz Ideology and some Tattered Angels glimmer glam along with other goodies like a vintage button and an actual bicycle gear my hubby found for me! 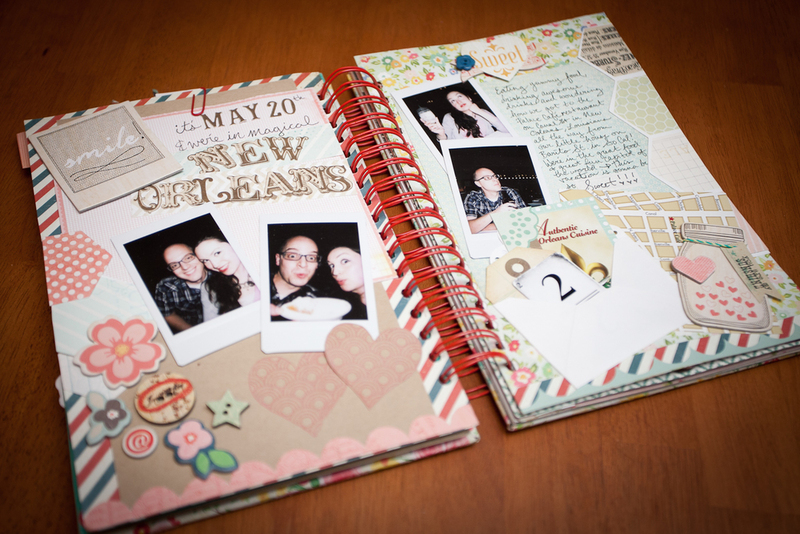 Here are some pics of my travel journal that I made for our trip to New Orleans (a trip that we took while I was still in a wheel-chair...I did get to get up and walk a tiny bit during the trip which was nice but it was hard though). It was a fun trip though because I love New Orleans! It is one of my favorite places in the whole world! I have been there a few times now in my life and cant wait to go again now that I'm doing better! I used a mix of papers like Crate Paper's Emma's Shoppe and Pretty Party and Storyteller as well as some My Minds Eye Miss Caroline and some Basic Gray Whats Up? and Dear Lizzy Neopolitan. The collections all work really well together I think. 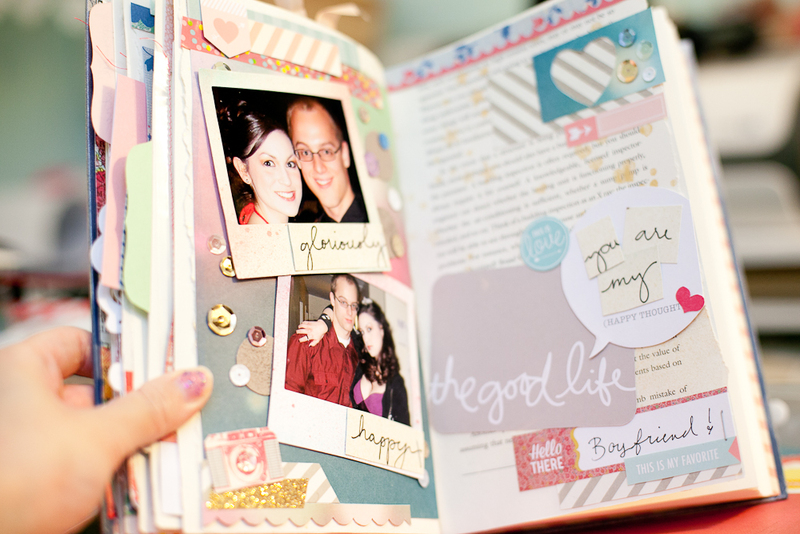 Here is a pic of my 2012 year in review book that I'm actually not all finished with yet, I have to fill in a few things so I will show some more pics of that later. 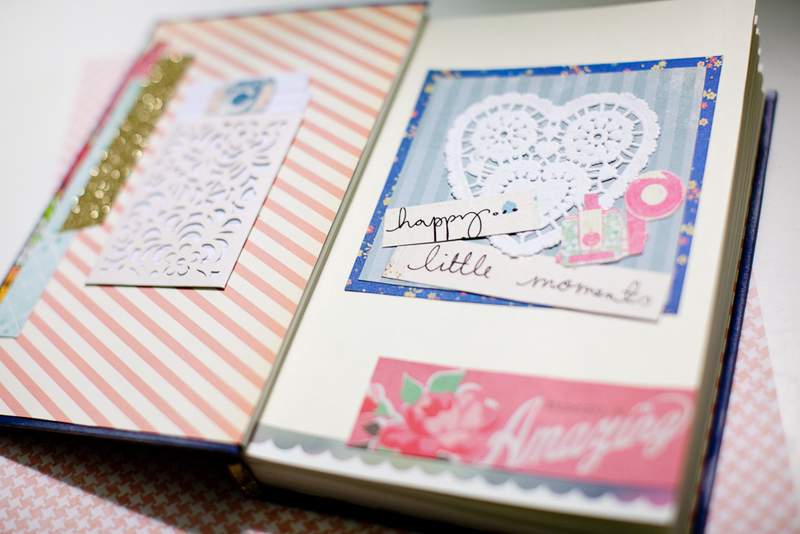 Oh, I used mostly prima, and simple stories, my minds eye and pink paislee for the album. 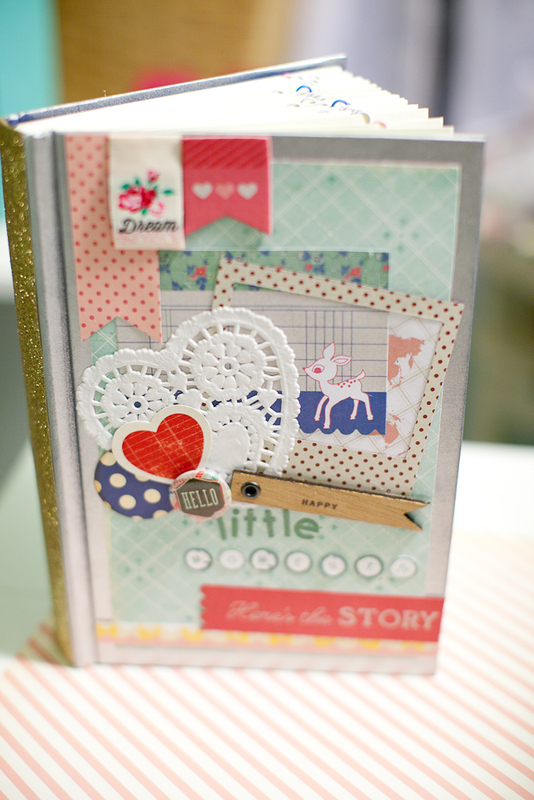 For the cover I used Jodie Lee's Fairy Prima line and her Pink Paislee Butterfly line as well (I forget the exact names right now). I think it works out to be pretty lovely all together! 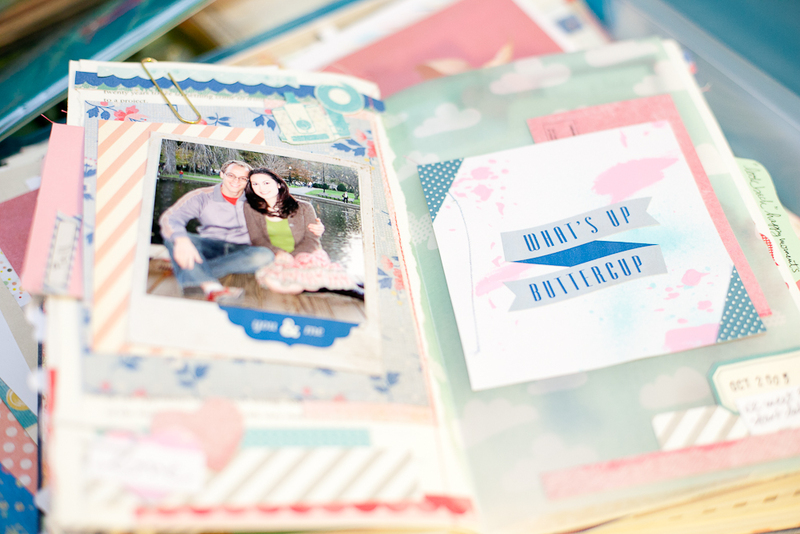 And those are some highlights of my 2012 scrapping. I hope you liked them! 2012 was good, the last few months of it were really great because my health got so much better and I am so looking forward to all that is coming this year, 2013. It's going to be awesome! And I will be back with another post shortly to show what I am working on right now! Hi everyone! I am starting this blog mainly because I have always wanted to find a magazine or a blog or a t.v. show or something that combined the various aspects of a creative woman's life -- scrapbooking & crafting, fashion & style, decorating & design, journaling & art journaling, faithbooking & inspirational-booking, and all the fun, cute, important and awesomely creative things that we artsy, crafty, stylish women do everyday in our lives! It might sound like a lot of different things but they all tie together as these are all ways in which we live out our personalities, showing the world in a very visual and creative way the unique woman that we are and the story that we're telling! It may not always seem like a fairytale that we're living but despite all of life's pratfalls and challenges, we can write our stories with bright colors and pretty patterns, with beautiful imagery and inspiring poetry, and create a world with our own Happily Ever After!